1/29/10 – “Rave On” Cat Fight In Memory Of Buddy Holly! This week, M. Ward, Marshall Crenshaw, The Real Kids and Sonny West all battle it out over Buddy Holly’s defining version of “Rave On.” We remember the musical legacy of Buddy Holly as we approach the 51st anniversary of his tragic death. “Rave On,” one of Buddy’s signature tunes was written by Bill Tighman, Norman Petty AND Sonny West. 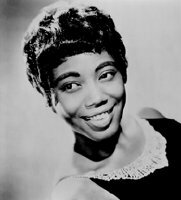 Sonny actually recorded the tune FIRST in early 1958, but it was Holly’s version in May of ’58 that would propel the tune to #37 on the charts. From there, many different renditions of the song have appeared. I’ve chosen four of them for your consideration this week. Don’t try and compare them to Buddy’s version, as they will all surely fall short. Please try and compare them against each other and vote for the one you truly DIG THE MOST! Which Version Of "Rave On" (Besides Buddy's) Do You Dig The MOST? 1/22/10 – The “Jo-Ann” Cat Fight! This week, two groups will fight it out over a girl, “Jo-Ann”. 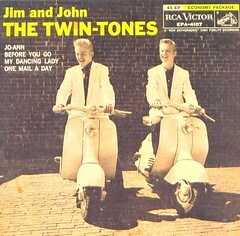 The Twin-Tones were real twins (Jim & John Cunningham) and they even performed “Jo-Ann” on “American Bandstand” at the end of 1957. The song didn’t go anywhere until early 1958, when 3 guys from Waterbury, CT cut the tune for Roulette Records. 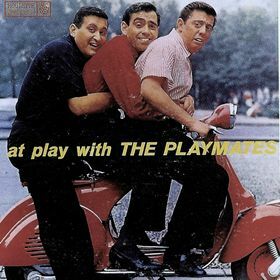 The Playmates would go on to hit #19 with their “Jo-Ann”, BUT which version is better? Listen to the podcast, decide for yourself and VOTE! Also, Sam Cooke was born on this day in 1931, so Sam makes it on the podcast as well. Which One Do You DIG The MOST? - "Jo-Ann"
This week, the girls get tough and aren’t afraid to sing about it. “You’re No Good” is a classic and I’m playing 3 different versions of the song for your consideration. 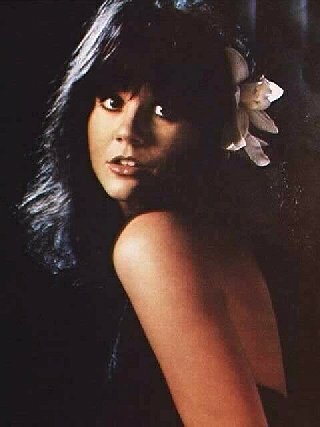 Dee Dee Warwick, Dionne’s baby sister and Betty Everett both recorded and released the tune in 1963, while Linda Ronstadt took it to the top of the charts in 1974. Which one do you dig the most? Which woman means it the most? Which woman are you most afraid of? There is also a tribute to Bobby Charles, who passed away this week at the end of the Cat Fight Podcast. Which One Do You DIG The MOST? - "You're No Good"
1/8/10 – Elvis vs. Elvis: The Songwriter? 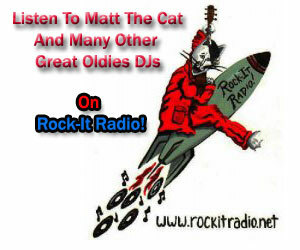 I thought I’d feature Elvis on this, the 75th anniversary of his birth. 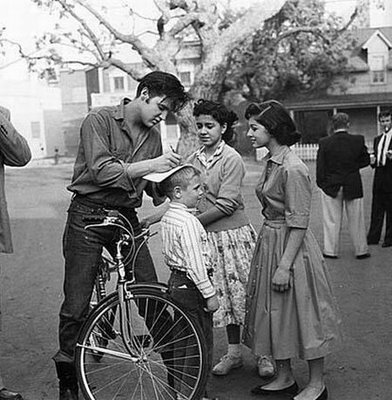 Now Elvis is known for many things; icon, performer, singer, actor, etc. But he is not known for his songwriting, which is virtually nonexistent. However, Elvis did participate in the true writing of only two songs, “That’s Someone You Never Forget” and “You’ll Be Gone.” His name appeared on a few other songs, which he did not help write in order to insure publishing royalties. But these two songs appear to have been at least co-written by the King himself. Listen to both of them back to back and judge which one you dig the most. In a world where we hear the Elvis hits ad nauseam, this week’s Cat Fight focuses on two of his lesser known songs. There are also a few extra goodies in here for Elvis fans of all walks of life. Long live THE KING! Which Elvis Presley Tune Do You Dig The Most?